The name of the company is Pampered in Paradise, pamperedinparadise.org which has a stated goal to truly pamper the women who have suffered from the affliction of breast cancer. The idea originated when the founder’s fiancée had been diagnosed with breast cancer and was given the standard treatments. Witnessing what she was going through, he wanted to do something special for her, so he began looking for a unique getaway that would treat her special, like a queen. His search came up empty. Deciding that a special place like that could be uplifting to a lot of women, and with help from their adult children, they began working through the details to create it. Eighteen months later, they’re ready to launch their “Maiden Voyage” which will take place on Estero Island, Florida from Aug 23rd thru Aug 26th, 2018. There are a lot more pampering amenities offered at this breast cancer getaway, including an uplifting and inspiring seminar, gourmet dinners and an after dark campfire on the beach with live music. There will also be an open forum for a great opportunity to talk with and even create bonds with others who have struggled with breast cancer. The owners are hoping to be able to schedule more retreats, and perhaps expand it to include all types of cancer. There are still rooms available for this scheduled retreat should you desire to be royally pampered. 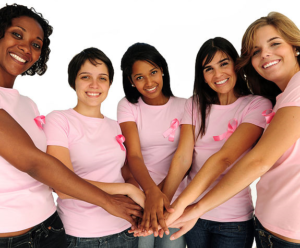 This could also be used as an awesome gift to a friend, loved one, or coworker, and according to their website, can be attended by other women who have not been afflicted by cancer. You can find a video with more details and pricing by going to their website at pamperedinparadise.org.